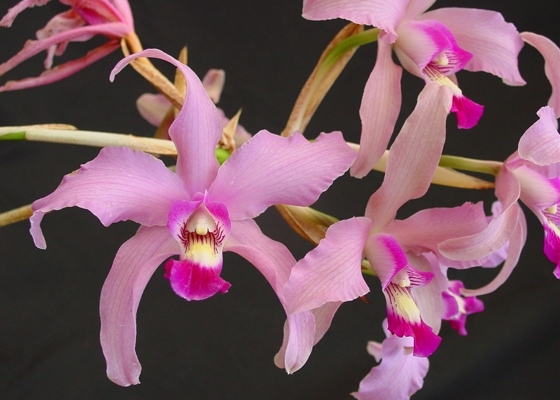 One of the select cultivars to arise from this crossing of Laelia anceps and Schomburkgia splendida. Nice clusters of large lavender flowers held well above the foliage.Temperature Tolerant. November blooming.